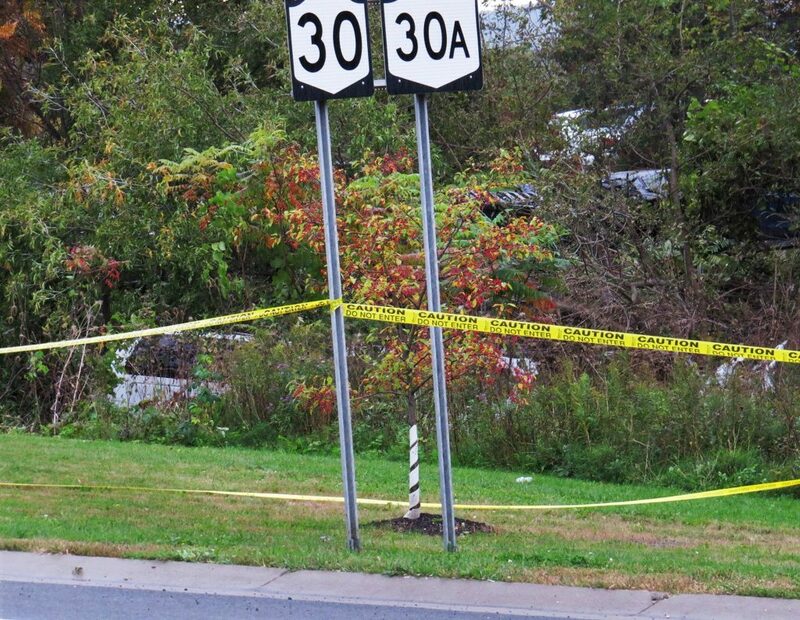 The limousine landed in the woods following a fatal crash in Schoharie, N.Y.
State police and prosecutors pursuing a criminal case against the vehicle’s operator had prevented the NTSB from doing its customary inspection protocol on the vehicle until a local judge intervened two weeks ago. NTSB lawyers had said that federal inspectors were prevented from getting within 15 feet of the wreckage. Schoharie County District Attorney Susan Mallery argued that criminal cases take precedence. A deal brokered by Judge George Bartlett on Jan. 29 gave NTSB access, with some limitations. The limo blew through a stop sign at a T-intersection and crossed a state route into a parking lot where it struck a sport utility vehicle. The SUV struck and killed two pedestrians, and the limousine crashed into an earthen embankment in a ravine, according to the report. After that, the NTSB would be cleared to perform its post-accident protocol with the exception of testing brake fluid. Instead, state police will send a report on brake-fluid testing to NTSB investigators, “who have agreed not to make it public until completion of the criminal case,” according to the court agreement. Agency inspectors also will be able to examine components removed from the limo “later in the criminal process,” the agreement said.